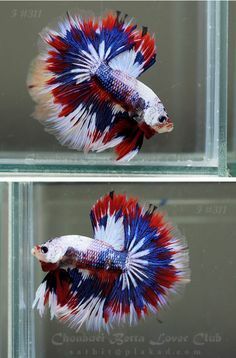 Looking for a Home for some Tropical Fish and 4th of July Tips! 3 ghost tetras, 3 silver dollar fish, 4 fan-tailed tetras, and one other tetra who will remain nameless. During fireworks, make sure your dogs or cats are in safe, indoor places where they cannot escape or get hurt. A bathroom or basement typically provide the best sound insulation. Turn on music or television for comforting background noise. You also can play a game with them or give them a favorite toy. Rescue remedy, and l-theanine containing products can be calming. If your pets are especially nervous about fireworks, consult your family veterinarian about whether to give them anti-anxiety medicine. But this is a step you should take at least a day or two before the fireworks start popping so you can see how your pet will respond to the medication. Another option is to buy a specially designed, snug-fitting jacket which comforts dogs by applying pressure around their bodies like a Thundershirt. Do not “reward” or play in to fearful behavior by acknowledging it other than providing a safe, quiet place and happy distractions. Your dog knows “it’s (not) okay” and soothing voices makes your dog think there really IS something to be afraid of! After the family barbecue, don’t treat your dogs to leftover bones from steak, ribs, chicken or other human food. The bones often splinter, cause pancreatitis, and may become a choking hazard. The safest policy is to avoid giving human food to pets because so much of it can be harmful to them. If you want your pets to celebrate along with you, buy them a few extra pet treats while stocking up on your own groceries or make your own pet treats. As always, avoid grapes, raisins, garlic, onions, avocados, and chocolate. Don’t let your pets stay outside in the heat for long periods of time, especially if they’re not used to it or have a pushed-in nose (brachycephalic breeds like pugs or bulldogs). If pets do get overheated, spray them down with water that is cool or room temperature – but never ice water, which causes a decrease in blood flow to the skin and makes things even worse. Applying alcohol to the foot pads can also accelerate cooling. Stay safe this 4th of July and don’t end up in the Emergency Room with your pet!